The University of British Columbia (UBC) is pleased to partner with The MasterCard Foundation Scholars Program to provide comprehensive scholarships to students from Sub-Saharan Africa. The Program provides access to education for academically talented, yet economically marginalized young people. More than 110 students from Africa will receive comprehensive scholarships to live and learn at the University of British Columbia through The UBC MasterCard Foundation Scholars Program thanks to a $25 million grant from The MasterCard Foundation. The first cohort of Scholars arrived at UBC in fall 2013. Over the following 10 years, UBC expects to welcome 77 undergraduate and 35 master’s degree students through the Program. The MasterCard Foundation Scholars Program at UBC for undergraduate students is open to first-time applicants who are residents and citizens of a Sub-Saharan African country. The MasterCard foundation grants a $25M Scholarships for African students at UBC. Selected students will receive a scholarship equivalent to the costs related to attaining a degree, including travel, tuition, textbooks, housing, food, and living expenses. You will also receive financial, academic, social, and post-graduation support which will enable you to build experiences and competencies critical for academic success. Interested undergraduate students must be nominated. However, nominees must also complete the online application for academic admission into UBC and also submit the Undergraduate MasterCard Foundation Scholars Program application. Nominations are currently open for the 2018-19 academic year. Prospective graduate students from Sub-Saharan Africa who qualify under the MCF Scholarship eligibility criteria must complete an application package to seek admission into one of the above-listed Faculties. It is important to visit the official website (link to it is below) for complete information on how to apply to The University of British Columbia, Canada for The MasterCard Foundation Scholars Program. Applications for admission and scholarship will begin in September 2017. High schools or non-profit organizations must have nominated eligible undergraduate students by November 15, 2017. 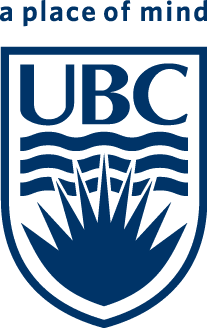 Undergraduate nominees must complete the online application for academic admission to UBC by Friday December 1, 2017 and submit all supporting documentation and/or results by January 31, 2018. Postgraduate applicants have until November 10th to submit Admissibility requirements; and after having received confirmation of admissibility from their selected faculty can proceed to submit their completed MCFSP application until November 17th, 2017. UBC Faculty of Forestry and Faculty of Land & Food Systems applications are due JANUARY 1, 2018. UBC MBA Applications are due JANUARY 11, 2018. The MasterCard Foundation Scholars Program is a $500 million initiative to inspire young people — particularly from Africa — to lead change through education. UBC was among the first Canadian universities to join The MasterCard Foundation Scholars Program and one of few (about 15) institutions in the world participating in the $500 million global education initiative. The MasterCard Foundation Scholars Program offers secondary and university education to academically talented students who come from economically disadvantaged communities in Africa. so any body can't apply for University of British Columbia / MasterCard Foundation Scholars Program unless you're nominated? that's not fair. Hello George, we understand how you feel but that's just the way it is. Being nominated for this scholarship may not be as hard as it sounds. Visit the official website via the link above to check it out. how can one be nominated? Please visit the official website (link to it is already provided in the article above) for complete information! please I can't find the link for the application! Am interested. hi, does one need to be nominated for a masters scholarship too?